Kafakumba is the name of a place in Congo where Ken and Lorraine Enright lived. When they were forced to move south into Zambia during the Congo conflicts of 1999, they found an old trucking company up for sale in the Copperbelt Province of Zambia. God provided a way to purchase it, so they did and began to develop it into a training center. The Enrights had strong connections to Kafakumba in Congo, so they simply transferred the name to their new home in Zambia. The name "Kafakumba" comes from Kafakumba Lake in the Democratic Republic of Congo where the Enrights first started ministry. Storks lived at the lake, but the local people killed many of them. The lake was named "Kafakumba", which means "the stork died" or "the dead stork." 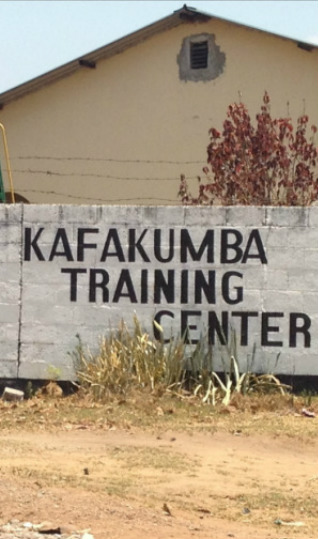 When the ministry was moved to Zambia, the name came, too. However, in Zambia, "Kafakumba" sounds similar to the local words for "the pig died" or "the dead pig." This caused problems as the people wondered what sort of new neighbors would name their place "The Dead Pig." But the past several years have proven that Kafakumba is actually a wonderful example of how God's love can transform lives. If you are interested in linking to the prior website and accessing some of the prior newsletters of the people at Kafakumba, click here.